While Slack is a critical tool for keeping in sync for project status and priorities, it has proven to be an ineffective platform to engage in detailed, long-lived discourse around complex engineering problems. Inspired by other open source projects like React, Yarn, Rust… we started experimenting with a new RFC (Request For Comments) process in the Gutenberg repository in order to propose, discuss and adopt technical solutions for these big features or complex technical challenges. The first open RFC in the Gutenberg repository concerns the Block Registration API and intends to address the server-side awareness of blocks and simplify the block discovery for the block directory project. Fetching the available block types through REST APIs. Fetching block objects from posts through REST APIs. This API should be backward compatible with what we have at the moment. It should be possible to statically analyze a block type in order to support advanced use-cases like the block discovery required by the Block Directory project. It should not require a build tool compilation step (e.g. Babel, Webpack) to author code which would be referenced in a block type definition. This RFC has already received a lot of feedback and technical explorations already started to clarify feasibility already started but I’d like to encourage everyone to chime-in and share thoughts. All ideas/PRs/proposals require discussions before moving to implementation. When the proposed changes are small then a GitHub issue is fine but in addition to the block registration API, all the features and technical problems with impact across different areas of the code base, new patterns for extensibility APIs, technical problems that are hard to solve without making compromises are good candidates for RFCs. The Block Invalidation and Deprecation handling. Block areas storage mechanism and widgets migration. Block Bahaviour reuse (colors, alignments…). Responsive Image Handling and Block Alignment awareness in nested contexts. Create a RFC document for your proposal. Submit a pull request to the Gutenberg repository (markdown file added to the `docs/rfc` folder). After discussions in the weekly meetings, RFCs may or may not be accepted. Accepted RFCs means the proposed feature is approved for implementation. Once implemented, the RFC becomes the de-facto documentation for it. Anyone can submit an RFC. We’re looking forward to start receiving RFC proposals! This is the last Gutenberg release that will be entirely included in WordPress 5.2 and it’s an exciting one. First, it introduces a block management modal with the ability to enable/disable blocks from the block inserter. The release also includes the possibility to nest different kind of blocks in a Cover Block container. Title, paragraph and buttons nested in a Cover Block. The journey to improve different parts of the editor UI is continuing as well with improvements to the hover and selected block states with better a11y and less distraction. Add the block management modal: Ability to hide/show blocks in the inserter. Support nested blocks for the Cover Block. Add an experimental Legacy Widget Block (enabled only in the plugin for the moment). Update the block outlines for the hover and selected states. Allow undoing automatic pattern block transformations. Add a RichText collapsed format toolbar for code, inline image and strikethrough formats. Allow collapsing inserter panels when searching. Add ability to transform video shortcodes to video blocks. Add ability to transform audio shortcodes to audio blocks. Add new wordpress/data actions to invalidate the resolvers cache. Support custom classNames in the ToggleControl component. Clarify the button to exit the post lock modal. Improve the block validation error message. Automatically use the WordPress babel config when using wordpress/scripts CLI. Add keyboard shortcuts to indent/outdent list items. Use links instead of buttons in the document outline. Use <s> for strikethrough, not <del>. Update wording of the block switcher tooltip. Add support for the reduced motion browser mode. Always show the current month in the Calendar block for All CPTs but post. In the Latest posts block, avoid full line clickable titles. Avoid relying on DOM nodes to add the empty line in RichText component. This fixes a number of lingering empty lines. Fix the MediaPlaceholder icon color on dark backgrounds. Fix the Classic block toolbar in RTL languages. Fix the more tag in the Classic block. Fix the quote to heading block transformation. Fix “null” appearing when merging empty headings and paragraphs. Fix the block insertion restrictions in the global inserter. Fix the prepareEditableTree custom RichText Format API. Changes to the internal RichText format representation to separate objects (inline image..) from formats (bold…). This fixes a number of RichText issues. Fix the Spinner component styling in RTL languages. Fix focus loss when using the Set Featured Image buttons. Fix template lock not being taken into consideration. Fix composed characters at the beginning of RichText. Fix several block multi-selection bugs. Allow using a float number as a step when using the RangeControl component. Fix error when pasting a caption shortcode without an image tag. Fix focus loss when combining sidebars and modals (or popovers). Escape the greater than character when serializing the blocks content into HTML. Fix pasting links into the classic block. Include missing CSS in the classic block. Enhance the i18n process documentation with a complete example. Lowercase block editor and classic editor terms to conform to the copy guidelines. Update the packages release process. Update the plugin release docs to rely on a lighter SVN checkout. Link to the editor user documentation and remove the user documentation markdown file. Typos and tweaks: 1, 2, 3, 4, 5. Upgrade to React 16.8.4 (React Hooks). Fix the dependencies of the e2e-tests and the e2e-test-utils npm packages. Avoid disabling regeneratorRuntime in the babel config to avoid globals in npm packages. Work on various e2e tests stability improvements. Regenerate RSS/Search block test fixtures. Move to travis.com as a CI server. Add clickBlockToolbarButton e2e test utility. to check the keyboard navigation through blocks. to verify that the default block is selected after removing all the blocks. to check the InnerBlocks allowed blocks restrictions. Add unit tests for the isKeyboardEvent utility. Remove CC-BY-3.0 from the GPLv2 compatible licenses. Move the block specific components to the package. Update the classnames to follow the CSS guidelines. Update eslint rules npm packages. Simplify the hierarchical term selector strings. Update the Latest comments block to use the “align support config” instead of a custom implementation. Remove the block snapshots tests. Remove post install scripts and only run these in CI to improve test performance. Tweak the plugin build zip script to avoid prompting when the build environment is clean. Add withRegistry higher-order component to the wordpress/data module. Add missing module entry point to the notices package.json. Remove the Gutenberg 5.3 deprecated functions. Ensure sourcemaps published to npm contain safe relative paths. Remove the replace_block filter usage and extend core editor settings instead. Improve handling of transpiled packages in unit tests. Add CLI arguments to launch e2e tests in interactive mode more easily. Select a unique radio input in a group when using the tabbables utility. This post summarizes the latest weekly Editor meeting, held in the #core-editor Slack channel, on Wednesday, March 13, 2019, 14:00 UTC. @youknowriad shared the block directory proposal post and raised that the current block registration APIs do not allow for this kind of plugins, and therefore this would need to be be resolved before building the directory. It is proposed that a private API is created first for use only with core blocks to allow iterations. Discussions are to continue on the above post and the relevant pull requests. A few weeks ago, a code owners flow has been introduced to the Gutenberg repository. This allows to automatically ping people to review pull requests based on their interests on a certain area of the codebase. A Discussion took place on the goal for this and whether it was achieved. @aduth raised that one of the goals is to raise awareness and to get more core contributors. @nosolosw felt that sometimes too many pings were sent out, and as a new contributor couldn’t commit the required time to review the codebase. @youknowriad feels that the new workflow is not useful for occasional contributors. @mcsf feels that the file paths do not map to the topics that people are interested in. The new workflow will be kept for now, and reviewed at a later date. Block Management – @aduth is actively working on this PR, some minor decisions still to be made, including wording. Section Block – General consensus is that this should be shipped as an experimental block first. This is hoped to land soon, and will be iterated upon. Block outlines UI – The PR is close to merge, it improves the Block outlines for the hover and selected state. @kjellr would like some feedback and testing on this PR. 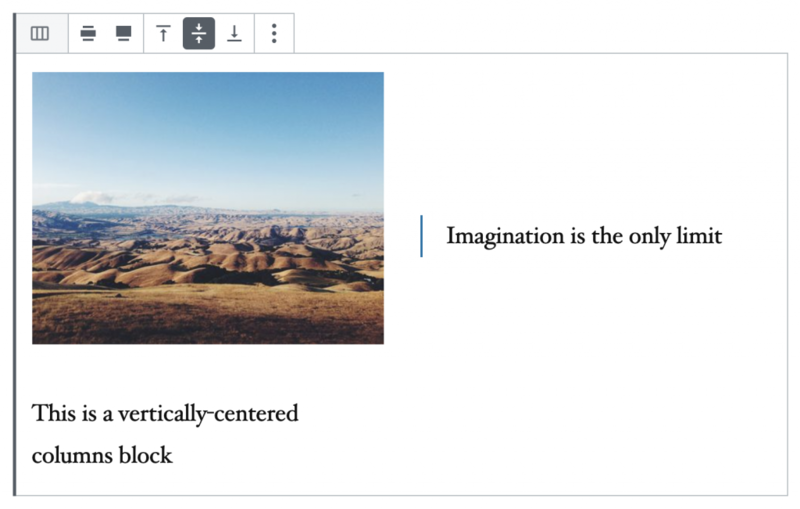 As we dive into the block-based widgets screen, foundational work is required to support using the Gutenberg editor outside the Post Editor context. This release falls into this category of releases where it’s more about building the foundations and making the Gutenberg modules more flexible to support these new use-cases. 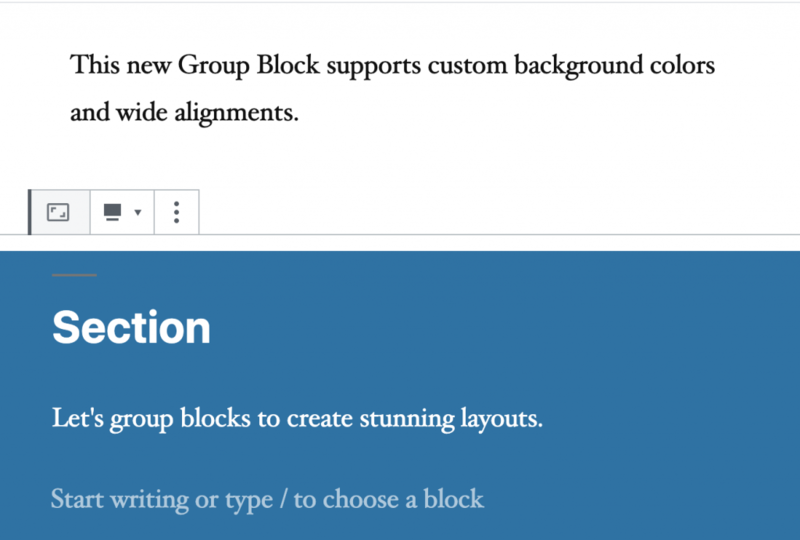 It introduces a new @wordpress/block-editor module allowing building block editors outside the post editor context and even outside the WordPress Admin context. This has some costs on the performance of the keypress events while working on very long posts that we hope to alleviate in the upcoming releases. Update the button block description wording. Design and a11y improvements for the custom color picker. Tweak the FontSizePicker height to match regular select elements. Improvements to the local state persistence behavior. Improvements to the URL input popover design. Disable block navigation and document outline items in text mode. Improve the quote block icons. Animate the sidebar tabs switching. Select the last block when pasting content. Fix the block validation when the default attribute value of a block is changed. Forces the min/max value validation in the RangeControl component. Display HTML properly in the post titles of the latest posts block. Fix drag and dropping a column block on itself. Fix new lines in the preformatted block. Fix calling gutenberg plugin functions in the frontend context. Fix pasting a single line from Google Docs (ignoring the strong element). Fix FocalPointPicker rendering unlabelled input fields. Show the images uploaded in the gallery block in the media modal. Fix wordwise selection on Windows. Preserve empty table cells when pasting content. Fix focus loss when deleting the last block. Add the Block specific toolbar button sample to the format api tutorial. Introduce a package to automatically generate the API documentation. Tweaks: 1, 2, 3, 4, 5, 6, 7, 8, 9, 10. Introduce a generic block editor module. Creates an empty page that will contain the future widget screen explorations. Fix emoji in the demo content. Warn when the user is using an inline element as a RichText container. Make Babel import JSX pragma plugin aware of the createElement usage. Include the JSX pragma plugin into the default WordPress babel config. Update the non-embeddable URLs wording. Refactoring of the block fixtures tests. Refactoring the eslint custom import lint rule. Refactoring the selection of previous/next blocks actions. Refactoring the post editor effects to use actions and resolvers instead. Use forEach instead of map when appropriate and enforce it with an eslint rule. Remove TinyMCE external dependency mapping. Extract webpack config into the scripts package. Avoid mutating webpack imported config. Upgrade Jest to version 24. Add repository.directory field to the npm packages and an linting rule to enforce it. Update server blocks script to use core equivalent function. Remove the vendor scripts registration. Use the editor settings to pass a mediaUpload handler. Remove deprecated Gutenberg plugin functions and features moved to core. Remove unnecessary Enzyme React 16 workarounds from the unit tests. Preserve inline scripts when overriding core scripts. Support referencing the IconButton component. Refactor the i18n setup of the Gutenberg plugin. Add an image placeholder when the size is being computed. Update the image thumbnail when the image is being uploaded. Update the default block appender placehoder. Support pasting content using the Gutenberg paste handler. Fix alignment issues for the appender and paragraph block placeholders. This post summarizes the latest weekly Editor meeting, held in the #core-editor Slack channel, on Wednesday, February 20, 2019, 14:00 UTC. 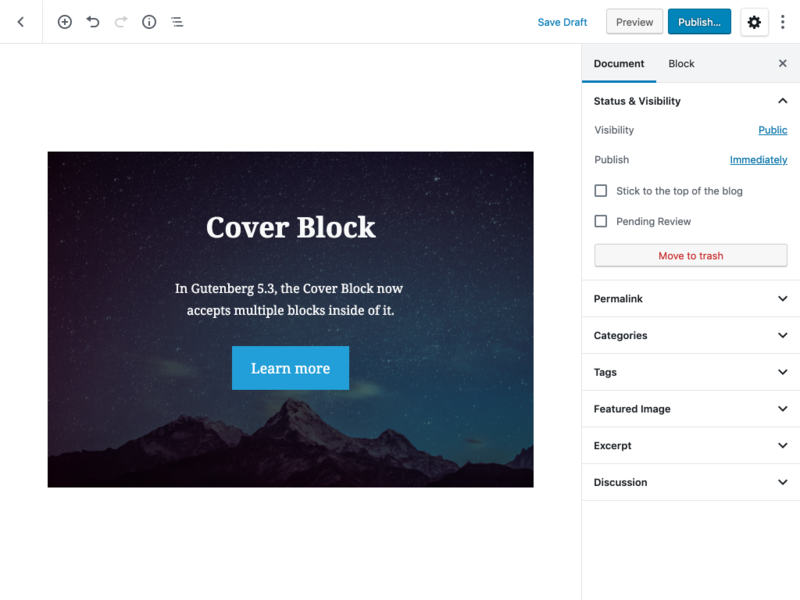 Gutenberg 5.1 has been released which marks the end of the widget to blocks project. There are a range of essential enhancements which have been made in this release; details can be found on the release post. Based on the proposed schedule and scope for 5.2, a proposal to synchronize the Gutenberg plugin release dates with the WordPress feature-freeze date have been shared. Some concerns were raised about the short timeframes. This will be adapted to the final WordPress 5.2 release schedule. 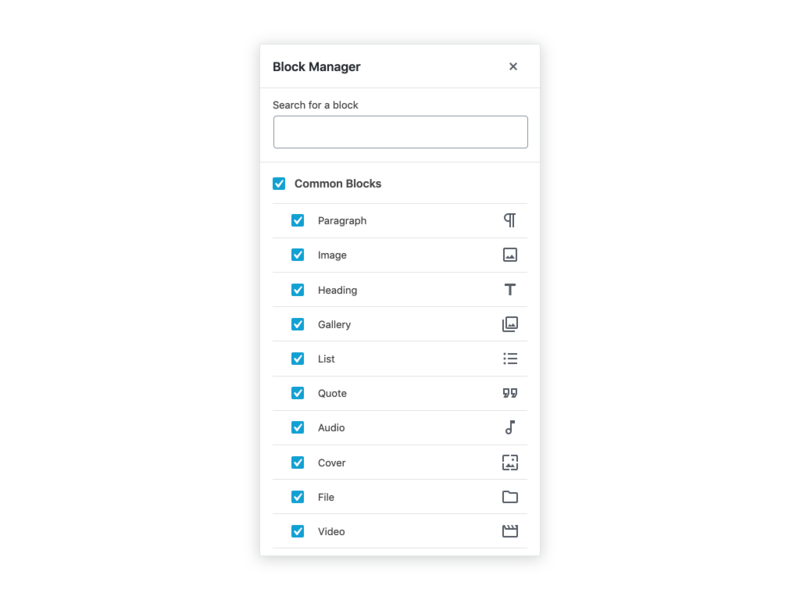 The WordPress 5.2 scope has been discussed including the need for block discovery and management solutions as many users are feeling overwhelmed with the available choices. Concerns about the short time frame to achieve these goals for 5.2 were shared and it was suggested that being able to turn blocks on/off. Favourite blocks could form part of 5.2. The wp.org directory could be independent of this roadmap. The copy of the content needs to be refreshed. Consistency with the marketing terminology is important. Whether the page should be a feature page, or more related to the project roadmap. @joostdevalk shared a call for ideas and thoughts over the next couple of days. @gziolo is starting to implement the new Block Registration API. @youknowriad is starting to plan the block management and the widget screen work. @youknowriad and @aduth will work on landing the generic block editor module. @nosolosw is going to continue on the React deprecated APIs and JS documentation auto-generation. @getdave and @marekhrabe are working on vertical alignment for the columns and media+text blocks. @talldanwp and @andrei are working on the section block. 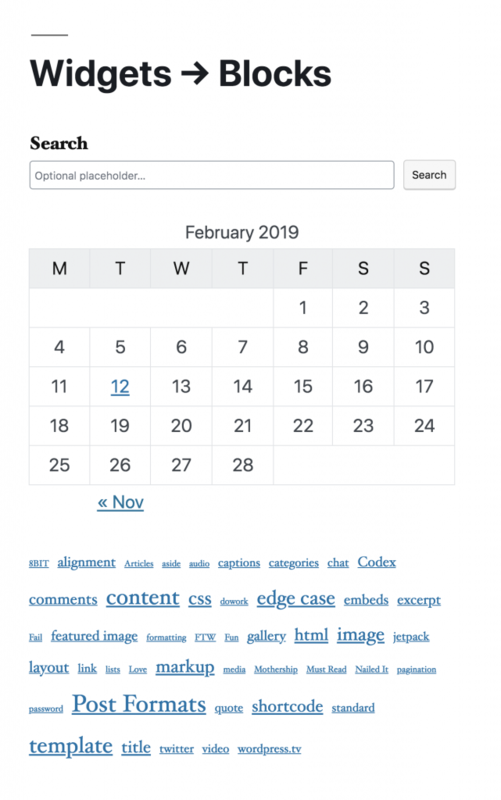 @jorgefilipecosta is working on improvements for the Calendar block, MediaPlaceholder and block insertion restrictions. @getdave raised that there is a lack of test for our core blocks which makes it difficult to develop upon them. It was acknowledged that further development in this area is required. More than 51 contributors participated in this release. It marks an important milestone for Phase 2, as it’s the end of the porting widgets to blocks project. Next releases will be focused on explorations around the Widgets screen. This release also includes a big refactoring to the formatting buttons and the RichText component, allowing us to fix a significant number of issues and to improve the writing flow. Core blocks (aside from the Classic block) are not using TinyMCE under the hood anymore. This change should not have any perceivable impact, as the APIs of the RichText component and the custom formats registration have not changed. In addition, contributors have worked on a number of improvements to existing blocks and UI micro-animations. Add a new Search block. Add a new Calendar block. Add a new Tag Cloud block. Restore the block movers for the floated blocks. Consistency in alignment options between archives and categories blocks. Set the minimum size for form fields on mobile. Disable the block navigation in the code editor mode. Consistency for the modal styles. Improve the FormToggle styling when used outside of WordPress context. Use the block icons in the media placeholders. Fix rounded corners for the block svg icons. Improve the CSS specificity of the paragraph block styles. Require an initial click on embed previews before being interactive. Improve the disabled block switcher styles. Do not split paragraph line breaks when transforming multiple paragraphs to a list. Enhance the Quote block styling for different text alignments. Remove the left padding from the Quote block when it’s centered. Improve the permalink field label. Improve the region navigation styling. Remove the 3 keywords limit for the block registration. Add consistent background colors to the hovered menu items. Allow the editor notices to push down the content. Rename the default block styles. Add inline image resizing UI. Allow line breaks in list items. Empty items not being removed. Selecting formats at the beginning of list items. Fix the color picker styling. Set default values for the image dimensions inputs. Fix wording of the nux tip nudging about the sidebar settings. Fix the translator comments pot extraction. Fix the plugins icons color overriding. Fix conflicting notices styles when using editor styles. Fix controls recursion in the redux-routine package. Fix the generic embed block when using Giphy as provider. Fix the i18n message used in the Gallery block edit button. Fix the icon size of the block switcher menu. Fix the loading state of the FlatTermSelector (tags selector). Fix the embed placeholders styling. Fix incorrectly triggered auto-saves for published posts. Fix missing classname in the Latest comments block. Fix HTML in shortcodes breaking block validation. Fix issue with mover colors in dark themes. Fix internationalisation issue with permalink slugs. Implement the inline format boundaries without relying on the DOM. Introduce the Registry Selectors in the data module. Introduce the Registry Controls in the data module. Allow extending the latest posts block query by using get_posts. Extend the range of allowed years in the DateTime component. Allow null values for the DateTime component. Do not render the FontSizePicker if no sizes defined. Add className prop support to the UrlInput component. Update lodash and deasync dependencies. Use addQueryArgs consistently to generate WordPress links. jQuery to Hooks heartbeat proxyfying. References to the classic editor. Disable CSS animations in e2e tests. Add a rule to ensure the consistency of the import groups. Add a rule to protect against invalid sprintf use. Add e2e tests for tags creation. Add the feature flags setup. Implement block editor styles using a filter. Add a new tutorial about the editor notices. Enhance the block’s edit/save documentation and code examples. Add e2e test utils documentation. Small enhancements and typos: 1, 2, 3, 4, 5, 6, 7, 8, 9, 10, 11, 12, 13, 14. Implement the media upload options sheet. Implementing Clear All Settings button on Image Settings. Avoid hard-coded font family styling for the image blocks. Improve the post title component. Fix the bottom sheet styling for RTL layouts. Support the placeholder prop in the RichText component.